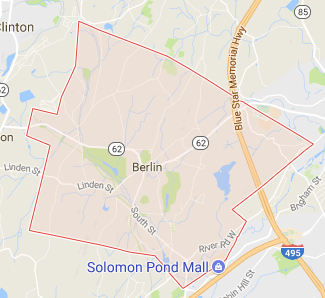 Berlin is about a 10-minute drive from the location of Persia Oriental Rug at Shrewsbury, MA. It was home to a large factory but changed to an agrarian society. It lies between the Nashua River and Assabet River and has made it a bedroom community for nearby Worcester. It is bordered by Hudson, Marlborough, Bolton, Clinton, Boylston, and Northborough. If you are a resident of Berlin, MA and are looking to increase the ambiance your home with an Oriental rug, visit our showroom today in Shrewsbury. Persia Oriental Rug offers a large collection of machine-made, handmade, tufted and antique rugs from Persia, Pakistan, India, and more. We are also capable of cleaning or repairing your dirty or damaged rug.